December is the month when our busy lives get busier. The December mad dash of shopping, baking, wrapping, and mailing, ultimately gives way to the holidays spent surrounded by our loved ones. December should be a time of enjoying each others company, not concerning ourselves with weeds. After all, the cold weather of winter has sent most of our weeds underground or into slow motion as they wait for the warmer days of spring ahead. Yet surprisingly, invasive weeds actually play a key role in December. In fact, this is the month when we when many of us welcome invasive weeds into our homes. Invasive species first creep their way into our holiday season through our Christmas trees. Here in Oregon we take our Christmas trees seriously! (They are important to our local economy and we work to support conservation with many growers.) Many of us trod our way through the rainy (or snowy) wet weather and mud to our favorite u-cut Christmas tree farm. With our families in tow we sift through the thousands of trees to find that one perfect Christmas tree for the season. December is also the month when we “Deck our halls with boughs of holly”. Although its a very old tradition, many holly branches are still hung today, and even more are coiled into ornate wreaths for our front doors. To many folks holly is synonymous with the holiday season. So you may be surprised to learn that this species is a non-native. As European settlers immigrated to North America, they brought their traditions along as well, and holly is an example of this migration. Although holly is not a state listed noxious weed, it is naturalizing and becoming more widespread throughout our area, particularly in the conifer forest understory were it can become the dominant forest understory vegetation. When holly invades it competes with other understory plants and can suppress natural regeneration of forest trees over time. 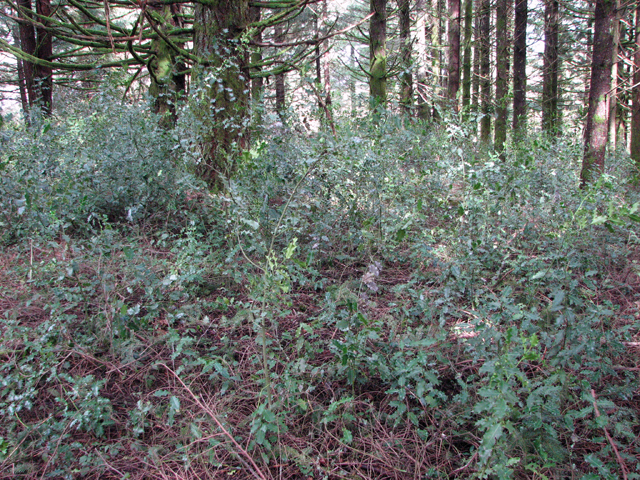 Natural resource managers across the Pacific Northwest are spending considerable resources to treat and control holly in an effort to preserve native conifer forests. 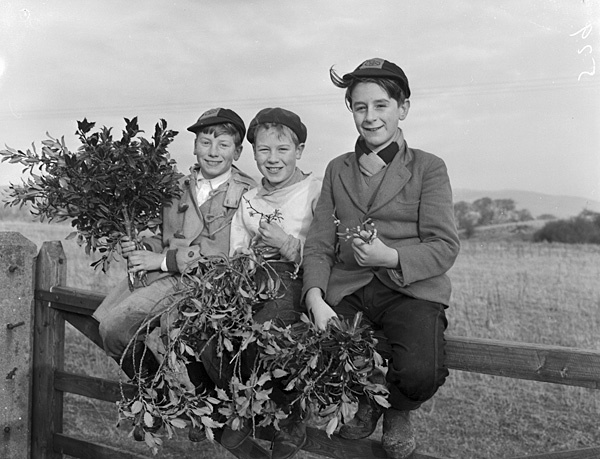 To combat this species, some folks have taken an innovative approach to controlling their holly, by replacing their traditional conifer Christmas tree for a wild caught holly tree — an innovative and economical approach to control a problem invader. But watch out because those holly trees will resprout with relative ease. Check out one of our weed wrenches from our tool library free of charge to and pull the entire plant up. So don’t forget to “Deck the Halls” this holiday season. Or if that doesn’t work you can always consider an invasive species as the perfect accompaniment to your holiday feast. Merry Christmas and Happy Pulling! So what is up with Weeds in December?